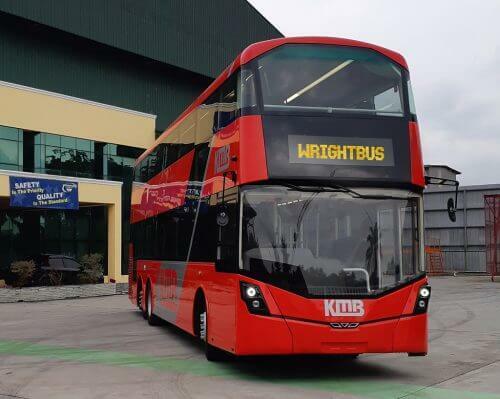 Wrightbus has announced two major vehicle orders from operators in Hong Kong. Kowloon Motor Bus (KMB) has ordered 150 units and its sister company, LongWin Bus, is taking a further 10. All are double-decker vehicles with Wrightbus bodywork and Volvo chassis. Wrightbus has also received an order for seven buses for New World First Bus (NWFB) and 46 for its sister company City Bus Ltd. These vehicles are also built on a Volvo chassis. Both orders will be manufactured at the new Wrightbus campus in Gracehill, Ballymena. The buses for KMB will be among the first to be produced and delivered from the remodelled facility. Group Business & Product Development Director, John McLeister, said: “We are honoured to receive these two new orders from our long-standing customers in Hong Kong. “Working closely with our partners Volvo, we have supplied almost 1,500 double-deckers for operation in Hong Kong since we shipped the first bus in 2001.